Thinning of hair can often be seen as a precursor to hair loss and is one of the first signs that your hair is crying out for some much needed attention. While there is a plethora of products on the market that claim to be able to thicken and strengthen your hair, there are more natural ways to improve the quality of your hair that are much healthier for your wallet too. Hair thinning is often caused by poor circulation in the capillaries, which allow blood and oxygen to flow to your hair follicles, delivering vital vitamins and nutrients to keep your hair in the best of health. Opening up these capillaries is vital in naturally thickening your hair and preventing hair loss. Regular aerobic exercise gets the blood pumping and increases circulation. 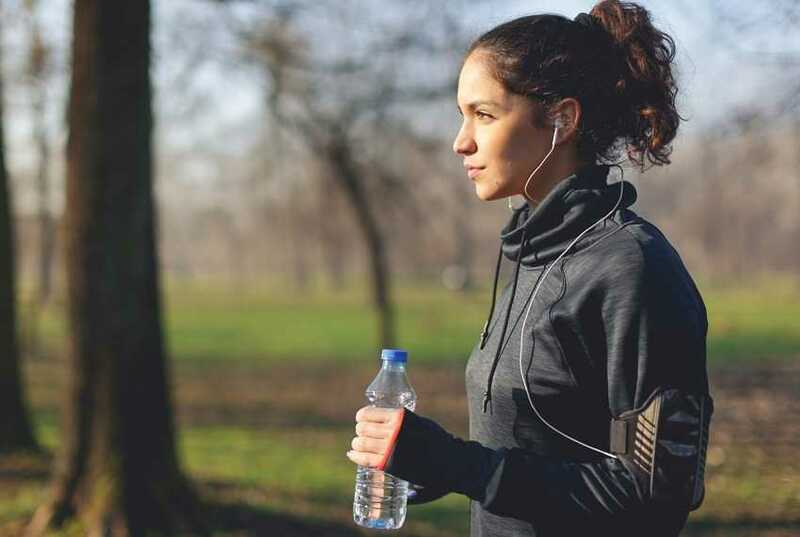 Jogging is a great example of good aerobic exercises but any type of activity that gets your heart racing and oxygen flowing will help the health of your hair. Over time, circulation decreases and your hair follicles are one of the first things to be affected, as your body doesn’t consider hair growth as a vital function, no matter how much you treasure your locks. Exercise helps to boost circulation to capillaries and can also help to rid your body of toxins that can also affect the thickness of your hair. Fat clogs up your circulatory system and a diet rich in fatty foods, sugar and carbohydrates can leave a build-up of fatty deposits that decrease your circulation. Improving your diet to include more vitamin rich vegetables and fruit not only help to lessen these fatty deposits but also feed your hair the nutrients it needs to natural grown thick and healthy. Vegetables such as kale and spinach in their raw from are prime examples of hair healthy foods as they are rich in antioxidants, which boost hair health and prevent inflammation of the scalp, which can also cause hair thinning, and hair loss. Continual and long term use of styling products and heat on your hair will eventually damage it almost beyond repair. Heat is deadly to hair and will dry it out making it become brittle and prone to breakage. Curling tongs, hair dryers and hair straighteners are the biggest culprits for poor hair quality and the less you can use them the better, certain sprays and gels can also leave hair damaged so it is better to use water based gels where possible if you simply must. Shampoos and conditioners, which include chemicals in their ingredient list, can also damage the health of your hair. Natural shampoos are much better for your hair health. Long-term stress is a worldwide problem with more and more people being under increasingly large amounts of it without even realising it. It has become such a normal part of daily life that we may be tricked into thinking it has always been this way. But this is not true. Stress eventually takes its toll on the body, causing it to shut down non-essential functions, such as hair growth. Take time out of each and every day to focus on de-stressing; whether that is reading a book, taking a bath or going for a walk. Reducing every day stress can work wonders on your hair health. Who doesn’t love a good massage? The great news is that a daily scalp massage is a fantastic way to get naturally thick hair. Scalp massage helps to encourage circulation amongst the capillaries in your scalp and can also unblock pores and get rid of toxins. Treat yourself to a 20-30 minutes scalp massage before bed or several small ones throughout the day in order to encourage natural thick and strong hair growth. If you’re pretty sure your hair loss is too far gone for the tips above, then why not make an appointment at The Wimpole Clinic? We can assess your hair problems and provide treatment options to minimise hair loss or even replace what’s already gone.